Marsha Francois was thrilled when she got the news. Along with graduate students from a select group of universities — including Duke University, Harvard University and Stanford University — Francois and four other FIU graduate students will be spending the summer in the Pacific Northwest, interning at the Bill & Melinda Gates Foundation’s headquarters in Seattle. The three-month program matches students with different program areas within the Gates Foundation based on their areas of study. 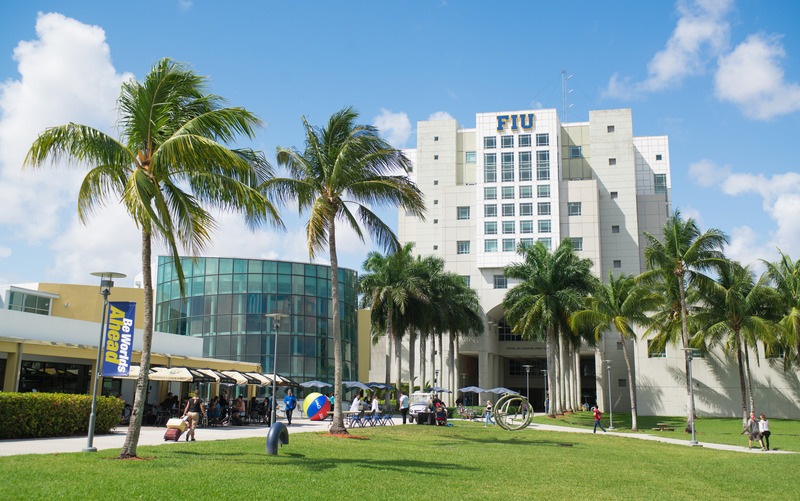 Of the five FIU students, Donald Yanogo, Angel Algarin, Daniel Tirado are from the Robert Stempel College of Public Health & Social Work; Mary Muchina is from the College of Business, and Francois is from the College of Arts, Sciences & Education. Francois will be working with the Gates Foundation’s Postsecondary Success education team. While she is not yet aware of the exact day-to-day details of her internship, Francois knows that she will be making substantial contributions to a number of different projects, with a main goal of learning how to scale education efforts in order to affect more students. “I hope I can leverage this experience to work in a [space] between private and non-profit to help disadvantaged students go on to get their degree…to gain a career instead of a job,” Francois said. The Postsecondary Success team is part of the Gates Foundation’s larger U.S. program division, which is one of five main divisions that the foundation focuses on. The other four divisions are Global Health; Global Development; Global Growth and Opportunity; and Global Policy and Advocacy. It is through the Global Health division that Algarin, a first-year Ph.D. in epidemiology student at FIU, will be joining Francois as an intern at the foundation. He was selected to join the Global HIV/AIDS program after the interviewers learned of his research interests and skill set. He will work on a project that is focused on diminishing HIV/AIDS rates in southern and eastern Africa. After their internships, the FIU students also will have a better understanding of what it is like to work in the philanthropic sector, as well as a network of new relationships at the Gates Foundation. For now, they are ready to make the most of the opportunity at the nation’s largest private foundation in the United States.